Science fiction presents visions of robots playing an integral role in society or even waging war against humanity. But what advances will matter for the medical device industry? What is the next frontier for medical robotics? From Star Wars to the Terminator series, robots have awesome abilities--often exceeding those of mere humans. But reality has not caught up with the vision of science fiction writers. In the medical device sector, robots are mainly used for assembly applications or robotic-assisted surgeries. It would be a mistake to assume that robots will always be constrained to menial tasks such as sorting parts or giving a surgeon superhuman dexterity. In the future, look for robots to take on much more active role in healthcare technology. In fact, there have been a number of robot-related research breakthroughs in recent months that suggest that robots are increasingly becoming faster, smarter, cheaper, and more dexterous. We're wondering which of these innovations will really matter when it comes to advancing fields including robotic nursing, robotic assisted rehabilitation, robotic surgery, and robots on the assembly line. Check out these six innovations that have especially caught our eye, and then answer the survey above to let us know what really matters for the future of robotics in medtech. Researchers at the Worcester Polytechnic Institute (Worcester, MA) have been working on robotic surgery tools able to conduct surgery on a person who is also inside an MRI. 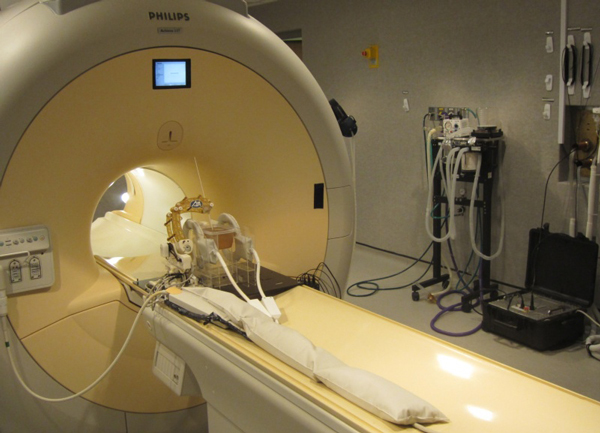 To make this a reality, the robotic system's creators relied on plastic parts and ceramic piezoelectric motors so that the robot could safely work inside the tight confines of an MRI, according to a recent article in IEEE Spectrum. Boston's Brigham and Women's Hospital is presently trying out the system on patients undergoing prostate biopsies. The mostly rigid, metal industrial robots in the medical device sector and elsewhere are complex, and can pose a danger to humans. But Harvard University researchers say they have found a potential solution through 3-D printed soft robots that are able to move autonomously. 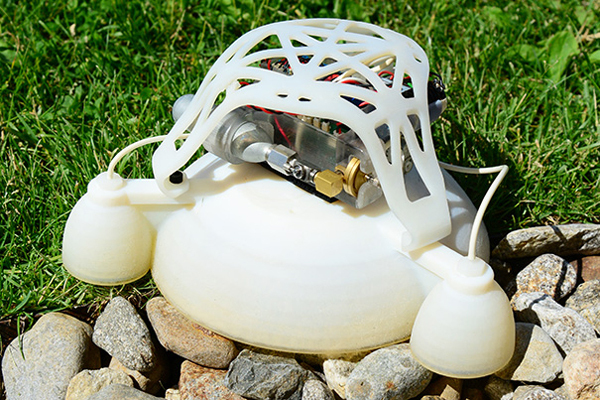 The Harvard robot integrates rigid and soft materials, increasing the robot's resiliency. Butane and oxygen are mixed and ignited to allow the robot to jump through the air. "The wonderful thing about soft robots is that they lend themselves nicely to abuse," Nicholas Bartlett, first author of the paper and a Harvard engineering graduate student, said in a news release. "The robot's stiffness gradient allows it to withstand the impact of dozens of landings and to survive the combustion event required for jumping. Consequently, the robot not only shows improved overall robustness but can locomote much more quickly than traditional soft robots." 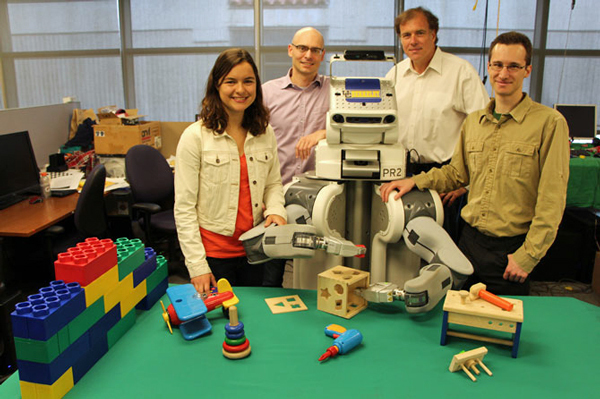 UC Berkeley researchers have developed algorithms that enable robots to learn motor tasks through trial and error. The robots use a process that is similar to the way human beings use. They were able to get a robot to complete various tasks, such as putting a clothes hanger on a rack, without pre-programmed details about its surroundings. "The key is that when a robot is faced with something new, we won't have to reprogram it. The exact same software, which encodes how the robot can learn, was used to allow the robot to learn all the different tasks we gave it," Pieter Abbeel, a professor at UC Berkeley's Department of Electrical Engineering and Computer Sciences, said in a news release. How useful could this be in the medical device assembly or robotic surgery world? 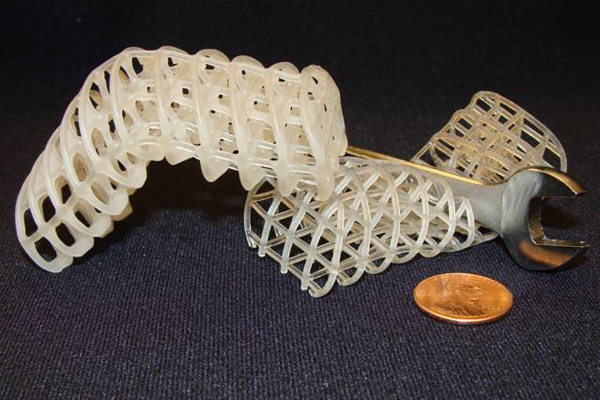 A group of U.S. and German researchers last year announced success that they had had success with 3-D printed scaffolds able to morph from being rigid to being soft and compliant. The scaffolds were made of polyurethane foam placed in a bath of melted wax. The potential for shape-shifting could get even more exotic. Researchers at China's Tsinghua University reported success getting an alloy of mostly liquid gallium to change shape via an electrical charge, or move using a chemical reaction with aluminum flakes, according to Business Insider. 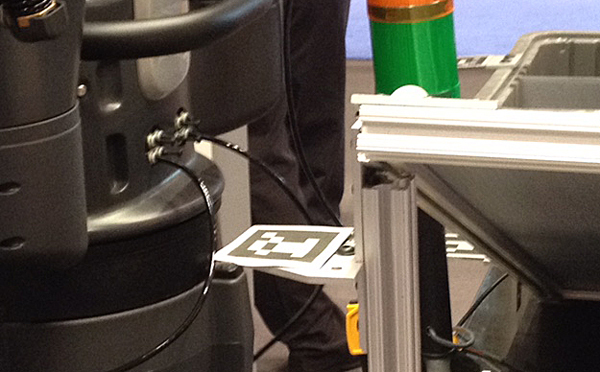 Rethink Robotics (Boston) found that a QR-code-like sticker can eliminate many headaches when something changes a manufacturing robot's location. Read the full Qmed story. 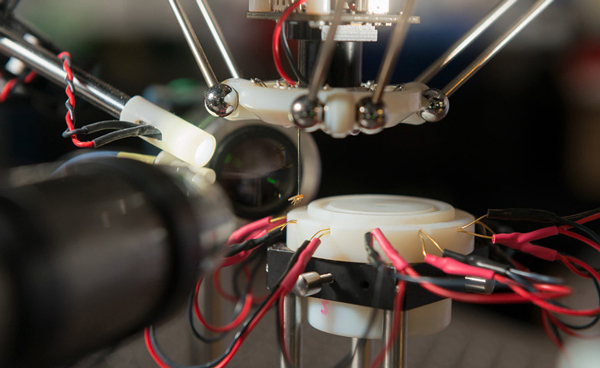 A wave of sensor advances has also provided the potential for robots to show more dexterity. Stanford University researchers have even designed a robot able to perform an especially complex task: catching and releasing fruit flies. (See above.) Read the full Qmed story.